I love the solidness of these effects! these are really awesome Sam. I got the game and am having a lot of fun with it! so being unfamiliar with effects, I assume these are the climactic frames of animations? do you do them all in ps? where do you put the frames of the animation together? Thanks Will, Dave, Matthew, and Gino! Adam: I'm glad you like it! I've been totally hooked to Infinity Blade II recently, you guys did an awesome job with that. Kyle: These are just concepts, not part of an animation. The effects artists would re-create these in three dimensions using Maya and proprietary tools. great! 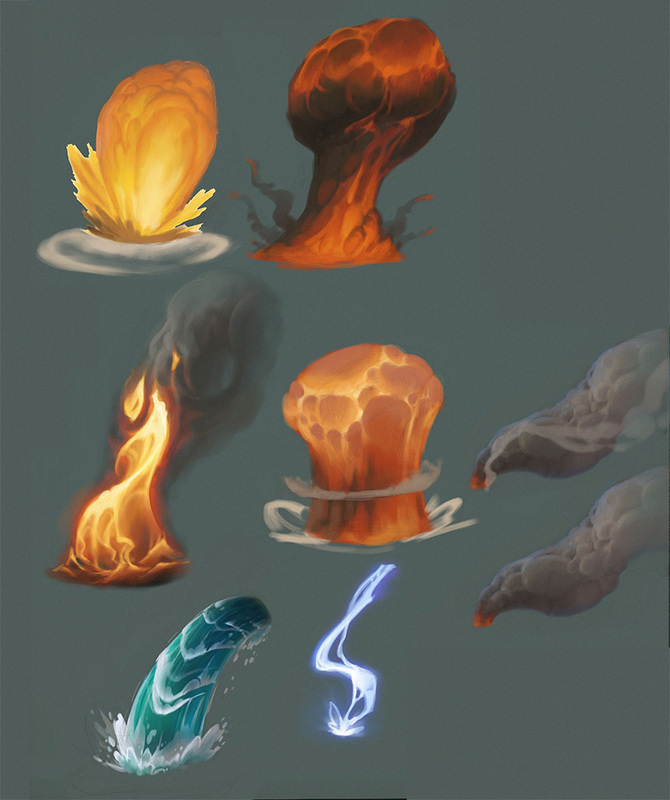 I like the mushroom cloud shaped one best! Abe: I had a feeling you would. This is simply amazing!! I love how you capture the energy! This is a best concept/illustration/artwork that I have seen before! For a long years! I'm just lost my mind! Best!Best!Best!